By Scott King. 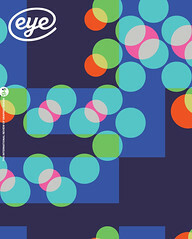 Designed by Fraser Muggeridge studio. Slimvolume, £18. Hardback, edition of 1000. Scott King’s Public Art blends fact and fiction, satire and speculation in a critique of the deployment of increasingly large works of contemporary art by the powerful (governments, corporations, the art-world establishment) in pursuit of their own agendas. King comes from a past life in magazine design (i-D and Sleazenation); his practice now occupies a hybrid space between design and art. In the book, he makes his case by presenting a few modest proposals for public artworks of his own. The scale of the irony and dark humour in these satirical parodies would eclipse any National Lottery-funded monolith. In A Balloon for Britain (2012), ten giant coloured balloons would be deployed to miraculously regenerate Britain’s poorest towns. The European Monument of Unity (2016) – a vertical stack of monumental artworks representing every European nation (including micro-states, dependencies and ‘non-European countries participating in the Eurovision Song Contest’) – would bring harmony to the continent. The stacking mirrored cubes of the Infinite Monument (2014) will ‘collapse myth, reality and time’ as it rises from the ancient site of the tower of Babel through the atmosphere into space and beyond. King’s critique comes alive in these speculative proposals. The main attractions, however, are the three graphic novellas that punctuate the book. Written by King and drawn by Will Henry, these function as satirical case studies, illustrating King’s key thoughts and arguments. In I Dream of Dalstonia (2016), the veteran Conservative politician William Hague leads a penny-farthing-mounted hipster militia to Teeside to liberate the locals from the tyranny of Greggs, Iceland and Wetherspoon, replacing them with a gentrified utopia of independent record shops, craft-beer breweries and allotments. Antony and Anish Take Afghanistan (2014) skewers New Labour era cultural regeneration policies, with poster-boys of public sculpture gigantism Antony Gormley and Anish Kapoor turning Afghanistan’s fortunes around by airdropping monumental artworks across the country. In New York Rural (2016), a committee of the art-world’s best and brightest brainstorm ideas for a new monumental artwork. Riding the wave of enthusiasm for the High Line, artisanal produce, and urban gardening, a plan is concocted to turn New York into a living artwork as an idyllic, zero-carbon self-sufficient state. The observation that this utopian eco-idyll almost exactly describes the Khmer Rouge’s Year Zero policy is brushed aside; King and Henry hilariously caricature a host of cultural superstars, while brutally exposing and critiquing both the ideological forces and agendas underlying the commissioning of public art, and the processes of the design by committee. A series of essays and interviews spread throughout the book put some contextual flesh on the bones of King’s work. The introductory essay by the architecture writer Owen Hatherley is the best of these, blending strait-laced scholarship with outrageous fictional scenarios drawn from an alternative public art reality. The brilliance lies in the realisation that the fiction isn’t much stranger than the fact: the true story of the conception of Kapoor’s ArcelorMittal Orbit for London’s Olympic park in a toilet at Davos is as surreal as that of any of Hatherley’s fictional artworks. Elsewhere, the writing is of mixed quality. 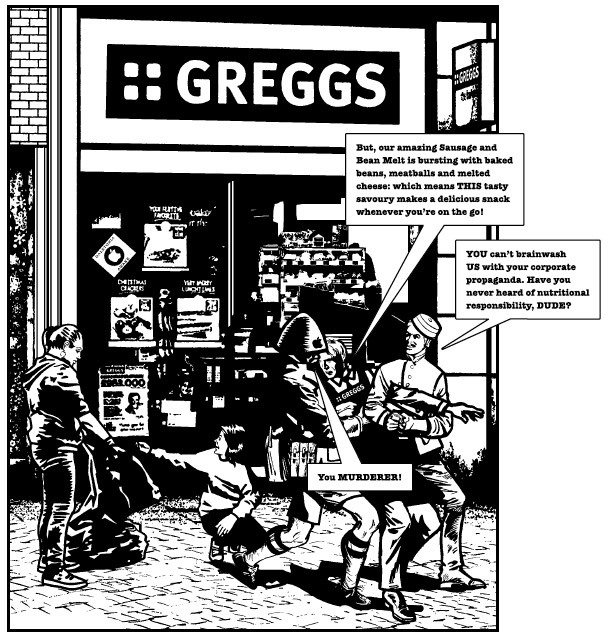 King’s critical proposals, the graphic novellas and texts each have their awkward moments and imperfections. However, I don’t think the book is, or needs to masquerade as, a serious theoretical work. Nor is Public Art merely a catalogue of King’s artwork. Conceptual art since the late 1960s has rejected the excesses of material form in favour of modest presentations: of ideas, proposals and instructions. In this sense, King’s proposals are artworks in their own right. What is exciting about the book is that it stands as a living example of the way in which visual communication can not only present but embody social, political and ideological critique. We could join curator, writer, and co-editor of the book Andrew Hunt in labelling King’s method as ‘a phenomenology of advanced reification that yields a popular utopian possibility.’ Or we could more plainly call it what it is: public art for public art’s sake. 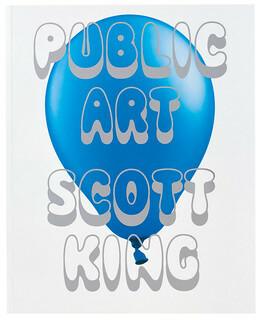 Cover for Scott King’s Public Art designed by Scott King and Fraser Muggeridge studio using a photograph by David Gill. Top: Illustration from Scott King’s Public Art by Will Henry.